Online social gaming company, Zynga Inc. (ZNGA), may be on their last life. Without a hit game in recent years the company is falling far behind its competitors like King.com, makers of the latest gaming craze Candy Crush. With the rising popularity of King.com, Zynga is feeling the pressure to produce another hit game. In mid-August Zynga company experienced a shake up after the resignation of chief operating officer David Ko. New CEO Don Mattrick also wrote in a memo to employees that Chief Technology Officer Cadir Lee and Chief People Officer Colleen McCreary are also leaving the company. Mattrick had found success running Microsoft’s division responsible for the Xbox video game console before being named CEO of Zynga on July 1. Although the company has potential in the future with the growth of mobile application games, analysts still fear that Zynga faces a massive concentration risk. Janney Capital Market analysts have set the price target for the company’s share at $2.50. Zynga is the world’s largest developer of social games and made a name for itself with hit games such as Zynga Poker, Farmville, and Words with Friends. Despite the success of these games, the former gaming powerhouse failed to make an appearance on the current 10 top grossing games list on iTunes. In Megapolis players have the ability to create their own cities and build airports, hotels, railway stations, and more. Another city building game that is set in the time of King Arthur. Players can join thousands of others to build their kingdom in Camelot. An easy to play casino slots game that is enjoyable for all ages. A free casino game app that allows users to play favorites such as Slots, Blackjack, Roulette, and Texas Hold’em. This city building game is based in Springfield, the home of the Simpsons. There are missions in the game that require you to help the Simpson family. Based off of J.R.R. Tolkien’s The Hobbit, this game allows players to build their own empires and interact with familiar characters such as Gandolf, Biblo, and Thorin. In Minecraft users have the ability to create their own worlds by placing blocks. There are endless possibilities and players can choose their own adventure. 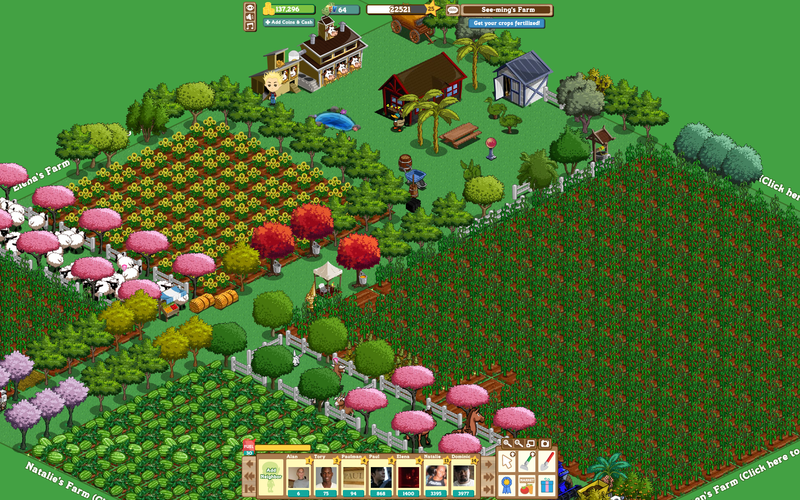 Hay Day allows players to manage their very own virtual farm. Users can make food with ingredients they produced and engage in trade with friends. A strategy combat game where users can build their own village, train an army, then battle with friends online.